Kazakhstan inaugurated a Low Enriched Uranium Bank on Tuesday (29 August), backed by the IAEA. The EU, one of the project’s biggest donours, hailed it as a “success for international cooperation” on nuclear non-proliferation. EURACTIV.com reports from Ust-Kamenogorsk and Astana. The facility in the city of Ust-Kamenogorsk, in eastern Kazakhstan, will store up to 90 tonnes of Low Enriched Uranium (LEU), enough to power a large city for three years, and sell it to IAEA members if they are unable to procure nuclear fuel elsewhere. “The LEU Bank will serve as a last-resort mechanism to provide confidence to countries that they will be able to obtain LEU for the manufacture of fuel for nuclear power plants in the event of an unforseen, non-commercial disruption to their supplies,” IAEA Director General Yukiya Amano said in a statement on Monday. 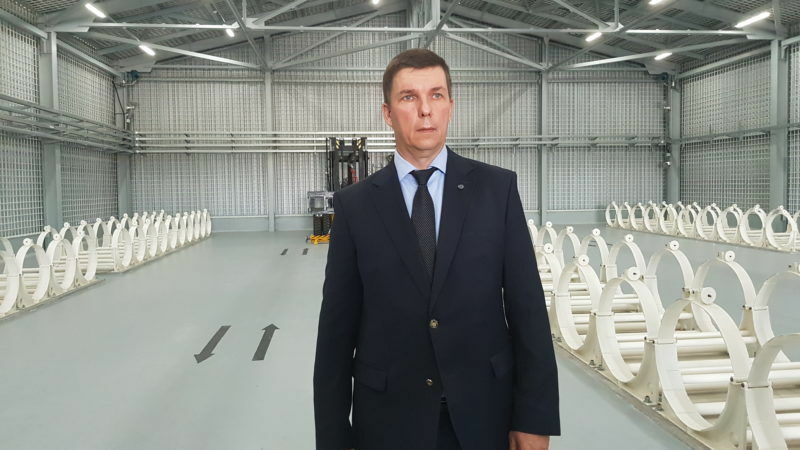 The facility, which will be run by the International Atomic Energy Agency (IAEA), is not strictly speaking a bank, but as several journalists saw it, a well-guarded, freshly-built, 880 square metre blue hangar, which for the time being is empty. The bank is located at a metallurgical plant in the city of Ust-Kamenogorsk, 1,000 kilometres east of Astana. The Ulba plant is one of the world’s recognised producers of uranium, beryllium, tantalum and niobium metals. Journalists were allowed to take pictures of everything they could see in the plant, except its fences. The metallurgical plant was established in 1947 by Stalin as part of the project to create a Soviet nuclear bomb and establish nuclear parity with the United States. The plant produced many components of Soviet-era nuclear armaments, as well as for the country’s space program. Stalin also chose Kazakhstan’s region of Semipalatinsk, 200 kilometres west of Ust-Kamenogorsk, as the site for Soviet nuclear tests. In stark contrast with some of the more decrepit-looking buildings of the Soviet-era facility, the inauguration ceremony took place in the flashy modern surroundings of the Kazakh capital, at the site of EXPO 2017 Astana, a high-profile project devoted to the future of energy. Kazakhstan’s President, Nursultan Nazarbayev, who has held his post since the country became independent in 1991, noted that the day of the launch of the international uranium bank coincides with his own decision to close the Semipalatinsk nuclear test site, on 29 August 1991, and to ban nuclear weapons on its territory (the Soviet weapons positioned there could have made it the fourth largest nuclear power, after Russia, the US and France). The nuclear tests in Semipalatinsk caused a huge environmental disaster. After the closure of Semipalatinsk, other nuclear nations also stopped nuclear tests. In 2009, the UN designated 29 August as the International Day against Nuclear Tests, partially in tribute to Kazakhstan’s decision. Ironically, in nuclear history, 29 August is also remembered as the day when Russia tested its first nuclear bomb, in Semipalatinsk, in 1949. Speaking in Russian, an official language of Kazakhstan, Nazarbayev said that more than 550 nuclear bombs were tested in Semipalatinsk, 74 of which were in the atmosphere. A million and a half people have suffered from the tests, and a third generation continues to endure the consequences, he added. By proposing that the IAEA host the international uranium bank in Kazakhstan, the country made its latest contribution to nuclear non-proliferation efforts, Nazarbayev said. Even the most advanced digital economy will need energy, he explained, adding that uranium was its most concentrated and most effective form. 50 nuclear power plans are being built currently, and some 500 are expected to be built by 2030, while nuclear technologies modernise, he added. “The choice of Kazakhstan as a location for the Low Enriched Uranium Bank is a recognition of the quality of our nuclear sector,” Nazarbayev commented, pointing out that according to studies, the country holds up to 30% of the world’s uranium reserves. 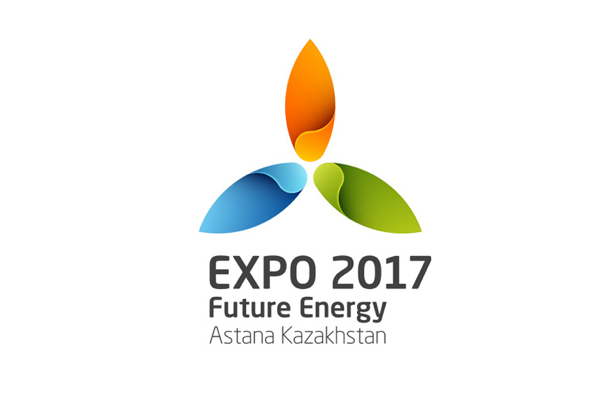 He appeared to link nuclear to green energy, in reference to EXPO 2017, whose motto is the “Future of Energy.” EXPO 2017 was inaugurated in June and will continue until 10 September. It has already attracted more than 3 million visitors. Kazakhstan holds the world’s second largest reserves of uranium after Australia and has been the biggest uranium producing country since 2009. In 2013 Kazakhstan’s output stood at about 38% of the world’s total uranium production. Yukiya Amano, the IAEA director general, said he was “extremely grateful” to Kazakhstan for volunteering to host the LEU bank. He also thanked the major donours for the project – the USA, EU, Kuwait, UAE, Norway, as well as China and Russia – who committed to allowing the transit of the fuel through their territories to their neighbour Kazakhstan. The largest donation, of $50 million, actually doesn’t come from the US as such, but by billionaire philanthropist Warren Buffett, who said there was no better investment than helping reduce nuclear proliferation. The total donations amount to $150 million. Amano explained that the IAEA decided to establish the LEU bank in December 2010 as a mechanism of last resort for member states which could experience a supply disruption “due to exceptional circumstances”, and which are unable to secure nuclear power fuel from the commercial market. Owned and controlled by the IAEA, the LEU bank will be a physical reserve of up to 90 metric tonnes of LEU suitable to make fuel for a typical light water reactor of 1,000 MW for three years. Jacek Bylica, the EU’s special envoy on nonproliferation and disarmament, said that the European Union was proud to be a major supporter of the LEU bank, calling the establishment of the LEU bank a “success of international cooperation”. “This is really an example of effective multilateralism,” he said, adding that the EU was proud to have contributed €24.5 million to the project – €20 for the purchase of the fuel, and €4.5 million for ensuring the security of the storage. “Multilateral approaches to the nuclear fuel cycle have the potential to provide countries who have decided to develop nuclear energy with an alternative to the development of national nuclear fuel cycles, by avoiding proliferation risks,” he said. EURACTIV asked questions both at the site in Ust-Kamenogorsk and at the Astana ceremony about the possible use of the project in negotiations with rogue countries, such as Iran in the recent past and North Korea at present. Amano strongly denied any link between the LEU bank and any such cases, as other officials from his agency previously did. But Ernest Moniz, a former US energy secretary (May 2016 – January 2017), who attended the press conference, said it was important for the international community to have instruments to persuade some countries not to pursue nuclear enrichment programs. The LEU bank would indeed provide the international community with such an instrument, although by rule the beneficiaries should subscribe to the nuclear non-proliferation treaty. An EU diplomat who asked not to be named told EURACTIV that it was a “secret de polichinelle” (a secret known to all) that the idea of the LEU bank was born in the context of the Iranian nuclear weapons negotiations. US Secretary of State John Kerry praised Astana’s role in the Iran deal brokered in July 2015, after Kazakhstan’s bid to host the bank won wide support. Another diplomat said that by positioning itself as a major “peaceful” nuclear power, Astana was playing its cards well, to become the leading player in the low enriched uranium business. A tender for the acquisition of the 90 metric tonnes of LEU to fill the bank will be launched soon and Kazakhstan is expected to make a strong offer.